The Llanfair Singers is an amateur choir of about 50 members which meet regularly on a Friday night in the Everest Hall in Llanfair Waterdine, near Knighton. 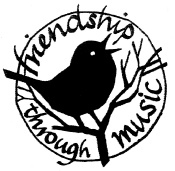 The choir's motto is "Friendship through Music" and true to that everyone is welcome if they can learn or read a vocal part and if they can sing in tune! 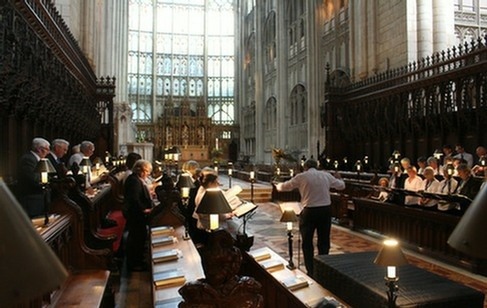 Have a look at the Choir Members’ page to see if there’s a gap in the choir that you could fill. Obviously, we love to sing, and thankfully our concerts are usually very well supported. This gives us the opportunity to raise funds through our concerts for local charities and for good causes further afield, which is very important to us as a group.